Digira would love your feedback! Got a few minutes to write a review? Summary: The Drac of Kaer Drac, also known as dragons, have an unusual rite of passage: To live among humans as one of their own for twenty-five years. This is the story of Iorneste's First Exile. Disclaimer: This book is still under revision, this is an early draft. Imported from my writing project at http://www.iorneste.com. “You are going to be late, Iorneste,” the old dragon librarian chided him. Iorneste wriggled about on the cavern floor, serpentine tail writhing behind him. “In a minute, Sreache,” he said. His reptilian eyes flickered over the pages of the book in front of him, Elshalle’s poetry. That caught his attention. Today was his seventy-fifth egg day. No longer apremagaunte, the next stage beyond hatchling, he was entering a new chapter of his life. Aha, new chapter. He turned the page of the book to his right, starting the next chapter of The Complete Histories of the North. In normal circumstances, it was not even worth the request. Among the dragons of Kaer Drac, Rrachma was its sage, historian, and librarian. Like all males, he was small and weak compared to the females of his age. Yet dragons are singular creatures, and the matriarchs of Kaer Drac favored his advice. It made Iorneste a fortunate fosterling, a fact that Rrachma rarely let him forget. “Tear out my tongue?” Iorneste asked, scanning The Fall of the Elvariens to his left, committing as much as he could to memory. He scanned the pages, reading all three books at once. The analysis of the design aesthetics of the Elvarien longbow was fascinating! Was there not a reference to it in Elshalle? He picked up where he left off, reading about the ice-fishing habits of the Northmen. Then a great shadow fell over the books he was trying to read. “Iorneste,” the proud gold-scaled dragon said, towering over him. He could not be certain that Rrachma was not serious. He sighed in a dragonish way, and rose to his feet. He cast one last longing glance upon the pages, before Rrachma summoned the aethir. The books closed, flying back across the room to their shelves. “Are you ready, Iorneste?” the old wyrm asked, and his voice and his animus held a note of sadness. Seeing that the hour was growing late and he was no longer welcome, the young dragon beat his wings and fled. He hoped he would reach the kiin before the sun set. The old wyrm watched him go, resting in the sudden quiet that remained, and pondered. By the time he left, daylight was threatening to turn to dusk, and the twin suns were lowering in the sky. He beat his wings hard, feeling the aethir surround him. He reached deep into its channels to pull himself aloft, streaming through the wind like air. While on the ground he was heavy indeed, but once in the air he felt like a feather. He made good time to the meeting place, despite the late hour. He spotted a small figure on the ground below, a tiny dot from his vantage point, and circled to the ground. He reminded himself too late that he should have paid more attention to this flight. It was to be his last for the next twenty-five years. As he drew closer, his keen eyes identified Mourne, much respected of the human kiin. Also an appointed trainer of young dragons such as himself. He landed on the ground before Mourne. He flexed his claws, leaving indentations in the earth. His wings flapped twice more before folding behind his back. Settling back onto his haunches, his tail curled around his body. “An unsettling thought,” he said. He felt the shiver begin in the ruff of coal black fur at the nape of his neck and slither all the way to the end of his tail. He concentrated, the High Art coming to him like breathing, like flying. Although he had never tried to become human, he used Mourne as a base in his mind. There were a few mental adjustments, of course. Mourne was short and dark-skinned, he planned to be tall and lighter-skinned. He started the change, first shifting his density. He retracted his tail, his front legs shortening, with his back legs growing longer. He reduced his scale fourfold, compressing some of his mass into the between place, theaerte. Next he addressed his claws, feeling them melt into articulate, albeit talon-less fingers. His feet adjusted to match the deformed, club-like phalanges that humans walked on. His obsidian scales lost color and definition, smoothing into skin. Last to go were his wings, and he let out a sigh, feeling their loss most keenly. Once he was standing on two legs, he staggered and fell over, landing on his rump. “You’re a bit too orange,” Mourne said, biting his lower lip. He concentrated a bit, shifting to a light tan. “I would like a closer look. Give me your hand, Mourne,” he said. Mourne tried to help him to his feet, straining with the effort, feet slipping on the ground. Once he was upright, Iorneste wobbled forward, slapping his hands around Mourne’s neck. For his part, Mourne bore his mass well, albeit with a buckling of his knees and a grimace. His eyes were at a level more conducive to study of a live human specimen. His brain had not yet adjusted to the new perspective. He studied Mourne more at proximity. He added blonde eyebrows, a more prominent nose, and a long mane of pale blonde hair. Pores and fine blonde hairs appeared on his face. Meanwhile his pupils lost the vertical slits, becoming round black pinholes. He considered a few different eye color choices, before deciding on a deep blue. The color of the sun on his scales. The kiin pulled his pants down and pointed. Mourne lost his composure, pulling up his pants and barking with human laughter. Iorneste chuckled along with Mourne, just because it was contagious. “Of course I can walk.” He took an experimental step, and buckled forward, landing on his hands and knees. Walking took him a couple somewhat frustrating hours to master, running took a bit less time. Mourne pronounced him a tireless runner. Iorneste found that he could jog faster than Mourne could sprint. His mentor demonstrated a few more athletic feats, performing cartwheels, somersaults, and handstands. The last was more of a description than a demonstration. Iorneste repeated each of these to Mourne’s satisfaction. By the end of the orientation, Mourne sat sweating on a rock, taking a drink of water from a wizened leather skin. Up above, Iorneste was attempting to add tree climbing to his repertoire of skills. “Ahh,” he said. “But I merely look human.” As if to prove this point, the branch of the tree he was holding onto broke, sending him plummeting to the ground. Several more branches broke on the way. Mourne winced as he slammed into the earth. “For instance,” he said. He pulled a few branches out of his hair as he emerged from the woods. “So formal,” Mourne said, but his smile was warm as he said it. 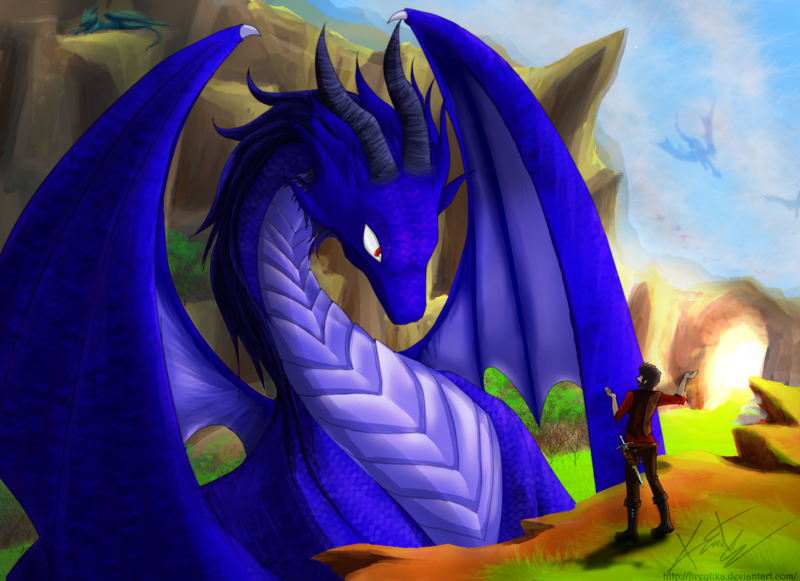 The kiin led him over to the tunnel, which was human-sized, not dragon-sized. There was a fine wooden chest waiting to be opened, and two stuffed backpacks beside it. “Yorn of Summersgard,” he said. Mourne took a moment to look around the clearing, letting out a deep exhalation of breath. Iorneste realized he should start taking notes, and mimicked the gestures. He found it particularly interesting how Mourne shifted his weight from leg to leg. For creatures who spent so much time standing on two legs, they appeared to be ill-suited for it. At closer inspection, he had also found his monkey face to be very expressive. The man was chewing his lips, the tufts of hair above his dark eyes were low. Wrinkles had appeared on his forehead. One hand reached up and stroked his chin, and the short black beard that grew there. He waited for Mourne to finish his thought. Waiting for his elders to finish a thought had often taken days. Mourne only left him waiting for a few moments.